At the time, Rajiv Chilakalapudi’s interest in Walt Disney probably seemed inconsequential. After all, he had come to the University of Missouri-Kansas City to get his master’s degree in Computer Science – not animation. But as he toured UMKC and learned more about Disney’s connection to the university, Chilakalapudi’s interest in the legendary animator grew. Later on, while he was working at the Miller Nichols Library, he stumbled upon a few books about Disney. Chilakalapudi spent his off-hours poring over those books, taking in every detail. His interest paid off. 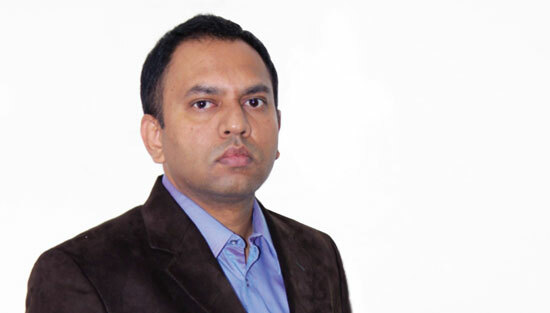 Today, Chilakalapudi is the founder and CEO of Green Gold, India’s leading animation company. He created arguably India’s most beloved children’s cartoon character, Chhota Bheem. Chhota Bheem – a cheery, intelligent little boy — has become the Mickey Mouse of India. The character’s TV show has spun off several short animations and recently, a full-length feature film. One day, Chilakalapudi hopes to put Green Gold on the same level as Disney or Pixar. “So far, Green Gold has been India’s Disney, but I would like to take it to the international level,” Chilakalapudi said. This April, Chilakalapudi will receive an Alumni Achievement Award from the School of Computing and Engineering, where he received his master’s degree in Computer Science. Looking back, Chilakalapudi views his time at UMKC as one that both inspired him and gave him the technical background he’d need to lead Green Gold. “In order to lead an animation company, you need to be technically adept. My computer science background gives me that edge,” Chilakalapudi said. But UMKC wasn’t just the place where Chilakalapudi earned an education, or drew inspiration. It was a place where he grew as a leader. “UMKC played a very, very important role in my life. At UMKC, I learned to see things from a different perspective. Through groups like the International Student Council and the Indian Students Association, I learned the importance of networking and developed my leadership skills,” Chilakalapudi said. Each year, the UMKC Alumni Association presents alumni awards to one honoree from each school and five campus-wide awards at its annual awards luncheon. This year’s event, which will highlight the 80th anniversary of the campus and include the presentation of the 2013 Chancellor’s Medal, will be held on Thursday, April 18, on the UMKC campus. For information and tickets for the event, click here. Tags: Alumni Achievement Award, Chhota Bheem, Green Gold, Rajiv Chilakalapudi, SCE, School of Computing and Engineering, Walt Disney.